I am running to block administration and politicians from using our children and educators as political footballs. I am running to be the voice of the parents of our children who feel that their voices are not being heard. I am running for those parents, educators and children who receive little or no direction to be prepared to avoid incidents, only to get them after the fact. I am running for that teacher who went in her pocket and spent her last $25 to ensure that a student had a pen, notebook, paper or lunch. I am running for that CEO who gave her all to the Head Start program and was terminated because of her superiors’ inaction. Ironically she is now going around the country inspecting Head Start programs to make sure they are in compliance with US Dept. of Education’s regulations (she works for them). I am running for that bus driver who rescued our babies from a burning bus and gets dismal salary. I am running for that custodian who takes the extra time to talk and listen to our children. I am running to ensure that our children, their parents, teachers and support staff are equipped with the resources they need to be competitive and succeed. I started in the community and political area when I was seven and perhaps earlier, as that is as far back as I can remember. My mom was my political role model. Growing up in public housing in Washington, DC with 12 siblings and a dad who worked two full time jobs, my mom found time to attend our PTA meetings and attend tenant association meetings. She was active with the Toastmasters and a member of the DC Community Mental Health Advisory Board. I attended all of these meetings with her. I like this book as it is an open and honest spectrum on how racism impacts the lives of minorities when it comes to economic, education, politics, religion and law. I do not read books on education, but I do research and data on education. Getting the rule/law removed that says you can not retain a student in elementary school if they are not reading or have math skills on their grade level. This sets our children up for failure as they move on to higher grades. Hiring and If you offer competitive salaries and benefits, teachers would stay, which means smaller classrooms. Students not performing on grade level can then obtain the attention they need to raise their skills. 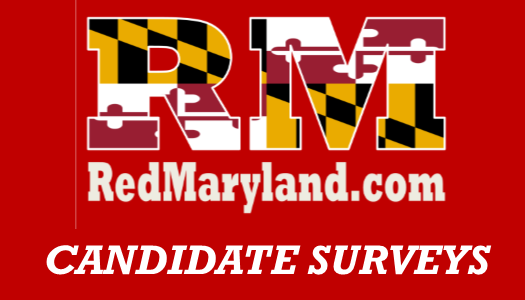 It all depends on where you live as to whether or not there is an issue with Maryland Schools. I know residing in a predominantly Black County, we have to fight tooth and nail to obtain monitory resources from the State. Dr. Alvin Thornton is a champion on this issue. Yes, I have read the curriculum. It is inclusive for those students that want to go to college and those that do not. The problem is retention of staff. Put the greatest amount where the greatest need is (inner beltway schools). School leaders need to prioritize the development of teachers not approved for tenure and at the same time ensure that culture and instructional practice are maintained particularly in schools serving large Black and low-income population. It needs to be abolished. One size does not fit all. K-6 20 or less; 7-8 25 or less; 9-12 30 or less. I often heard parents of high school students complain of classrooms being too large. My question to them was this, “When your student goes to college and there are more than 30 students in their class and they are failing, are you going to the Dean and demand the classroom size be smaller?” Amazingly they said no and would tell their student to get it together as they were shelling out money. My response to them was that their tax dollars are paying for their public school education. I am a firm believer that if there is teaching in the classroom than learning will take place.